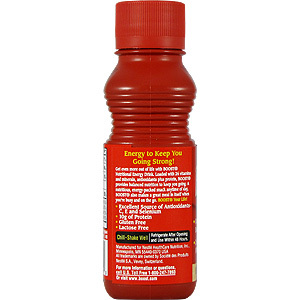 Energy to Keep You Going Strong! 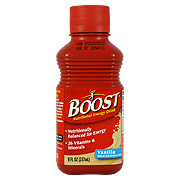 Get even more out of life with BOOST Nutritional Energy Drink. 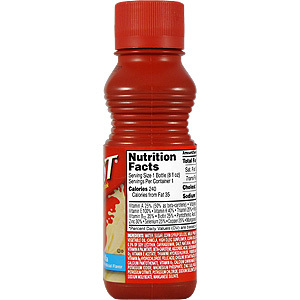 Loaded with 26 vitamins and minerals, antioxidants plus protein, BOOST provides balanced nutrition to keep you going. A nutritious, energy-packed snack anytime of day, BOOST also makes a great meal in itself when you're busy and on the go. 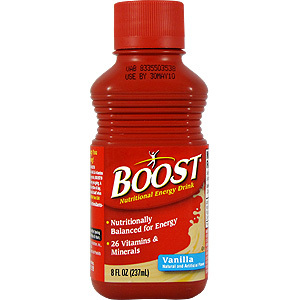 BOOST You Life! 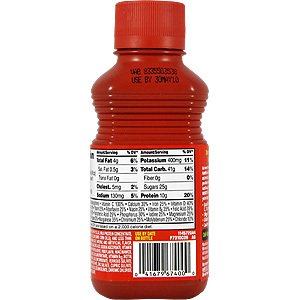 Water, sugar, corn syrup solids, milk protein concentrate, vegetable oil, (canola, high oleic sunflower, corn oils) and less than 0.5% of soy lecithin, carrageenan, salt, natural and artificial flavor, vitamin A palmitate, beta-carotene, ascorbic acid, sodium ascorbate, vitamin D3, vitamin E acetate, thiamine hydrochloride, riboflavin, niacinamide, vitamin B6, hydrochloride, folic acid, choline bitartrate, vitamin B12, biotin, calcium pantothenate, vitamin K1, calcium carbonate, ferrous sulfate, potassium iodine, magnesium phosphate, zinc sulfate, cupric sulfate, potassium citrate, potassium chloride, sodium selenite, chromic chloride, sodium molybdate, manganese sulfate. Boost Vanilla is shipped in a discrete, unmarked package. Orders are processed immediately and usually take about 3 to 5 working days to be received. We do ask that you try it for 2 to 3 weeks to feel the full effects. Any information received is used only for order processing and shipping purposes. Your information, such as e-mail address, will never be disclosed to a third party.